In this moving novel Echo is a girl traumatised by an event that her mind won’t allow her to remember although it has left emotional and physical scars; Noah is an orphan who is fostered by a couple who are only interested in the money they get for him. He is an angry young man who finds a release through behaving badly. These two damaged teens meet at Eastwick High School through sharing the same school clinical social worker. Echo is unhappy at home with her dad and her newly pregnant stepmother (who used to be the babysitter) as well as missing her brother, a marine killed in Afghanistan. School is also difficult for her as rumours are being spread about her, and she is no longer accepted by many of the students. When she and Noah meet it doesn’t start well, Echo is a high achiever and Noah is a dropout, but as they grow closer they realise that they both need to see their social work files to get the answers they want to help them come to terms with what’s happened to them. Their growing relationship is described in all its messy progress as they slowly help to heal each other. This is a teenage romance with characters that the reader grows to care about. Each chapter alternates between Echo’s perspective and then Noah’s affording an understanding of how they feel about themselves and each other. Their differing voices help the reader to see things the way they do. 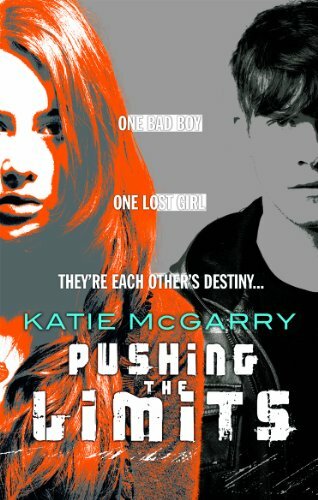 McGarry has real insight into teenage psychology and of both the damage that humans can do to one another and the wonderful healing power of love and understanding. She deals very sensitively with the serious themes in this book.